Independence Town Hall is located at 136 East Main Street, Independence, Virginia 24348; phone: 276-773-3703. Photo: Grayson County Courthouse, circa 1908, Main Street, Independence, VA. Listed on the National Register of Historic Places in 1978. Photographed by User:Ceh2624 (own work), 2006, [cc-by-3.0 (creativecommons.org/licenses/by/3.0)], via Wikimedia Commons, accessed May, 2018. 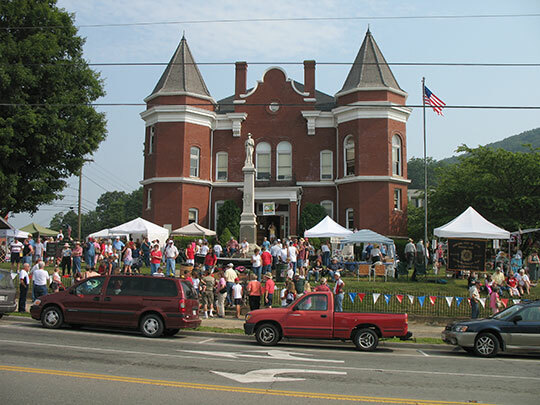 Independence was established as a settlement in 1850 as the result of a dispute among various factions as to where to located the county seat.